I was drinking on a Saturday night, in a Québec City bar called Jules et Jim. Dark, smoky and its subterranean walls adorned with old movie photos befitting a place named after the classic François Truffaut film, the place was buried among the posh restaurants and hipster clubs of Avenue Cartier, away from the Old Town area and the throngs of tourists. I was outside the city wall. There were no Americans anywhere, it seemed. 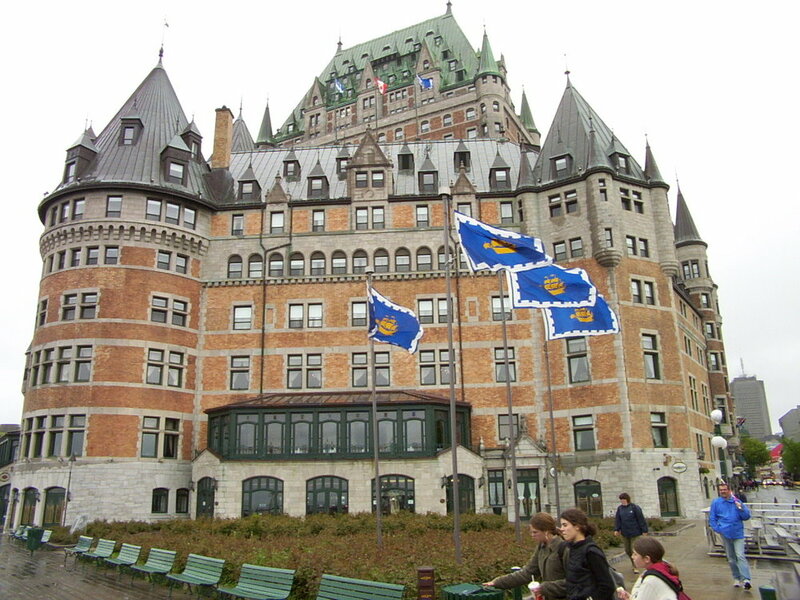 In general, Québec City looked, felt and operated like an old European capital. Sidewalk cafes and street performers abounded. People were talking about old wars, French mistresses and good wine. The drinking age was 18 and the bars remained open until three in the morning. Primarily a hangout for natives, Jules et Jim was a microcosm of the city itself: a mixture of old and new, a Francophone locale with unwavering joie de vivre and pride in la belle province. After ordering a pint of Boreal Rousse from the only bartender merciful enough to speak English, I took a seat at a knee-high table. Luckily, a tipsy Irish woman at another table invited me over to her group solely for the purpose of English conversation, a rare occurrence at Jules et Jim. While Montréal is somewhat linguistically split, Québec City is almost entirely Francophone, with 98 percent of the population claiming French as their mother tongue. I sat down next to a man drinking Bud Light. André was somewhere in his 50s, with short-cropped gray hair. Another woman, also in her 50s, with long gray hair down her back, drank Pernod out of the bottle and offered herself to every guy in the establishment. She got up and danced with one man, and then another. In English, Andre told me he liked Bill Clinton because he smoked out, he fooled around, and he's a musician—therefore a real person. “George Bush is not the American dream,” he told me. That’s what it felt like. I was in that song. I said I’m American, and the chap next to him put his index finger to his mouth with a loud “Sssshhh”—the others immediately following suit. Thankfully, what would have been a confrontational anti-American conversation was then eased by more mutual recitation of Cohen lyrics: “There is a crack in everything/ That's how the light gets in.” Andre and I continued carrying on into the night, in English, as the old dancing lady continued to approach every dude in the bar. Merci, Leonard Cohen. Merci.